The turmeric is in the front. This was taken in early November as the winter garden is being planted. Some of you have followed this on Facebook, but I thought I would compile the process here. 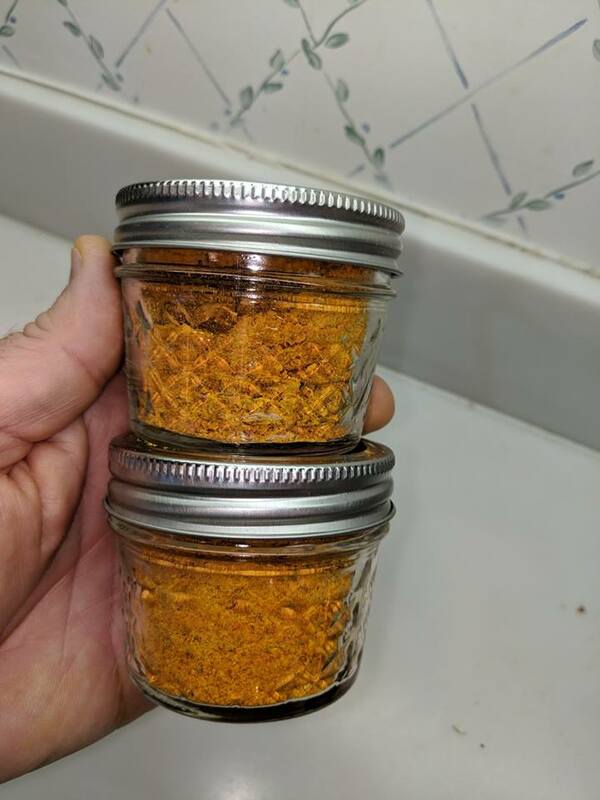 What started with a neighboring farmer offering a couple of turmeric rhizomes (the tubers from which spice is harvested and which also grows new plants) ended up last weekend with enough dried turmeric for a year or so (8 ounces). Turmeric takes a while to grow. Last March we were given to rhizomes which were planted at the edge of our garden plot. The soil must have been good (the plant likes soil with lots of manure) for the plants grew and by early summer were a foot high. Turmeric takes ten months to grow as the growth isn’t about the leaves above ground but the rhizomes below. In mid-January, the plant above was turning brown, so I dug up the ground under it and found a nice harvest of rhizomes. For the next few weeks, I was adding fresh grated turmeric to everything, especially eggs. But I knew the turmeric wouldn’t last long, so I saved a few rhizomes for planting and the rest I prepared for making turmeric powder. 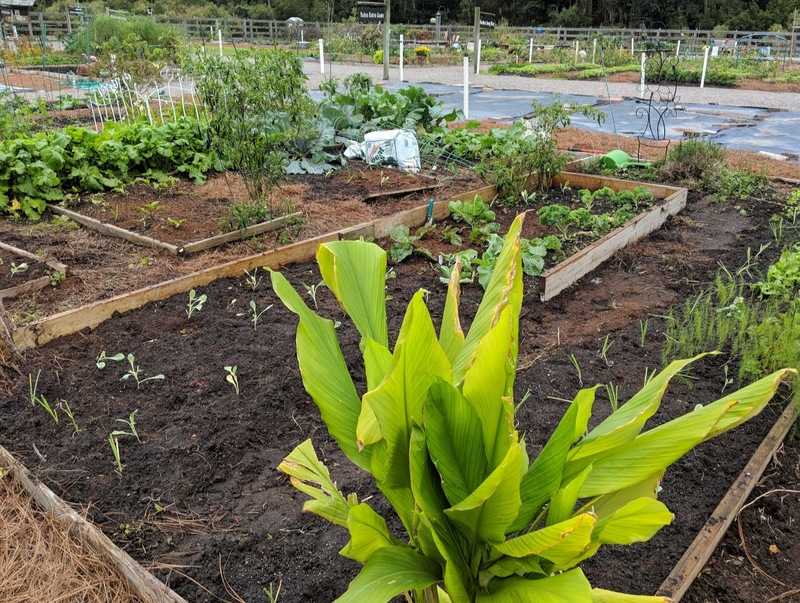 After reading up on drying turmeric, I found that most suggested the rhizomes to be cleansed and brushed thoroughly to get off all dirt (and manure) off the tubers. Then, they are placed in a pot with just enough water to cover the rhizomes and boiled for 30 minutes. Once done, they are taken out and sliced thinly (they are not pealed). Then they are dried. As we have been having a wet and humid winter, I opted to dry them in the over for several hours at 175 degrees. 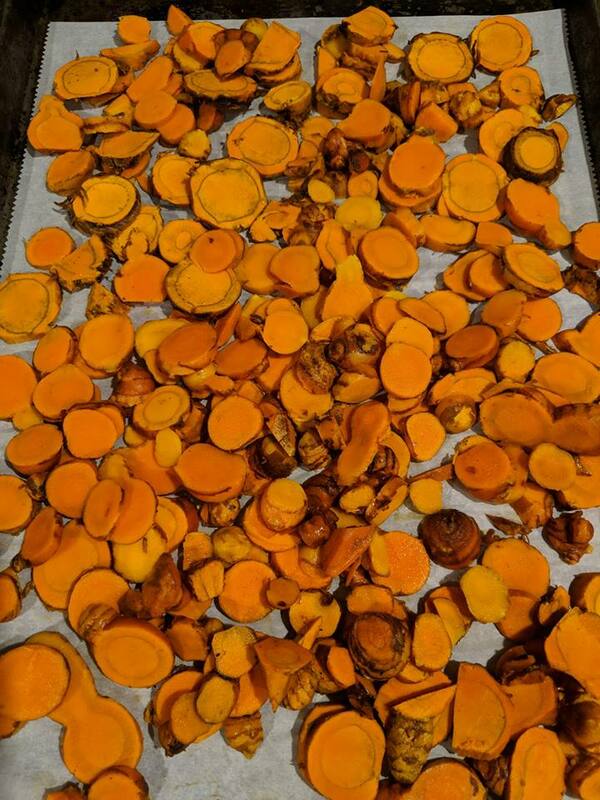 Afterwards, the sliced and dried rhizomes are frozen solidly (most say to freeze overnight, but I froze them for a longer period because I was waiting for a time to finish processing the turmeric. The freezing helps make the grinding easier. 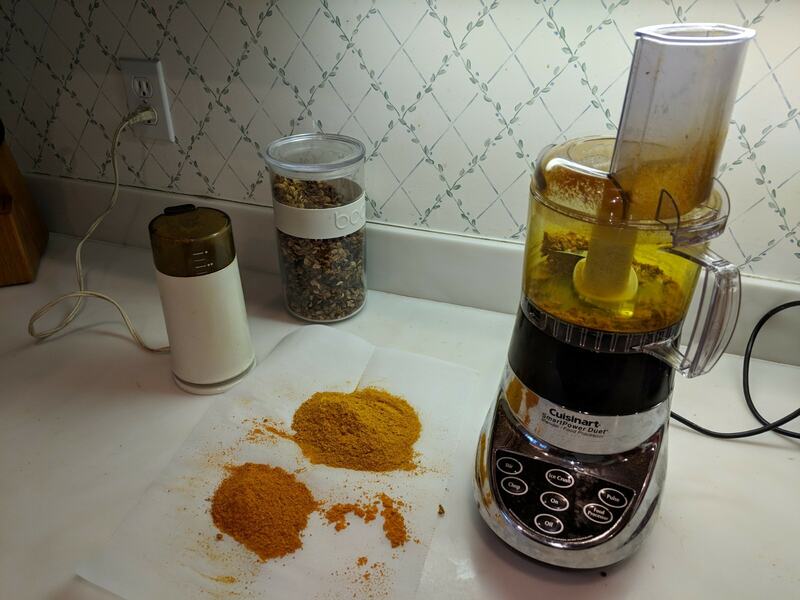 When ready to grind, you can use a food processor or a coffee grinder. I tried both. It takes a long time of constantly pulsing either one to turn the chips into powder. This process also tends to stain your food processor, but in the end you have nice powder that I stored in two 4 ounce mason jars. Turmeric can be stored for years if sealed and stored in a dark place. After this adventure, I’m thinking about raising ginger, too. At least this turmeric is not corrupted from bad soil or added with things like lead (which has been known to be added to the dangerous for the consumer). Some of the spice that comes from India is known to be corrupted. Next year, maybe I’ll try to grow ginger, too, as it is in the same family. .
We go through a lot of ginger but not much turmeric. About the only time we use that is the couple times a year that my wife makes curried chicken. Doing something like this always makes me appreciate the lives of my ancestors who had to preserve everything they ate. That turmeric would last me 20 years! But the ginger would be quite easy for me to go through. Nice harvest! Impressive! Definitely a key ingredient in several cuisines. 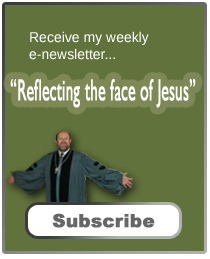 Never occurred to me one could cultivate one’s own. Looks great! I never realized how involved the process was to go from plant to powder. My sister would love to try this I’ll bet. Plus, fresh spices! So good to see and read this post. Turmeric is good to use in so many recipes. Hi, Sage! 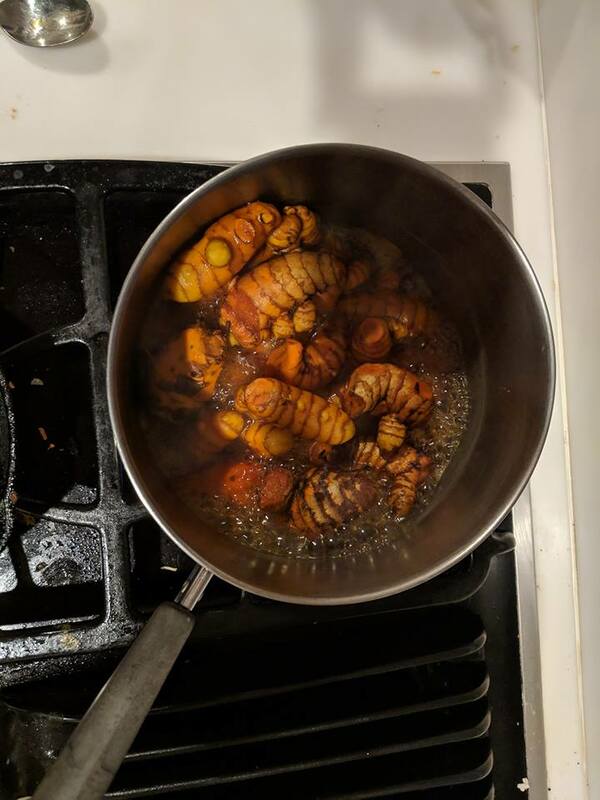 I’ve seen turmeric rhizomes in the supermarket, but they look pretty intimidating, like some kind of alien worm. Your supply of turmeric looks wonderful, but I think I’ll continue to buy mine. Thanks for the warning about corrupted turmeric ~ I had no idea. Now I’ll look for organically grown and check the source. Have a good one!